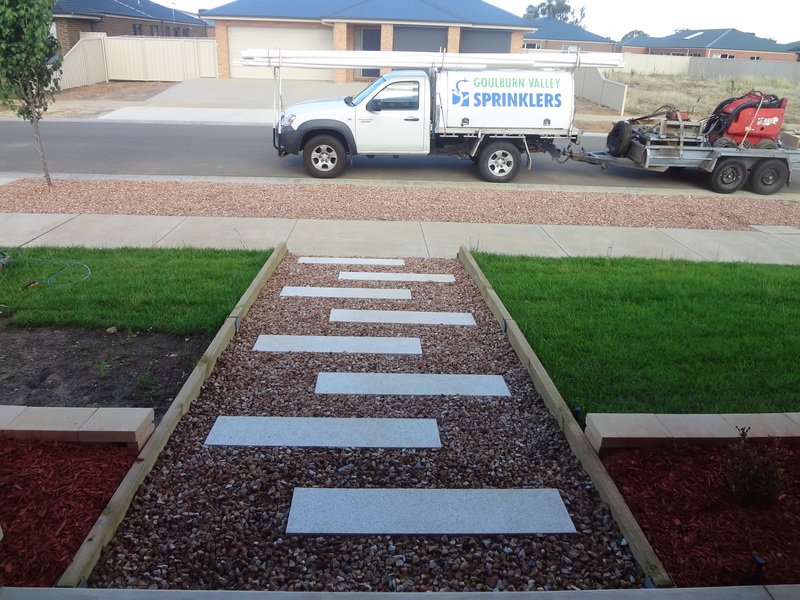 Welcome to Goulburn Valley Sprinklers and Landscaping. If you’re seeking premier irrigation design and installation or landscaping in Shepparton, you’ve found it. We’re an established Victoria business with 15 years of industry experience. Building a reputation of honest and forthright service, our team goes the extra mile to get your project done right. We keep our word and our contracts have no surprises. Valuing communication and transparency, you can contact us at any time for straightforward updates on our progress. Any problems? We guarantee our work and strive to rectify any faults quickly and thoroughly. From start to finish, you can rely on our team to give you 100% of our very best. In Shepparton, first class irrigation design and installation is important. Whether you own a large farmhouse with adjoining lands or maintain a sizeable horse arena, the health and appearance of your lawn and landscaping is a vital consideration. Goulburn Valley Sprinklers and Landscaping are the local experts in the irrigation industry and you can trust our work to meet your expectations. And our top quality work is always fairly and reasonably priced.